A guide to maintaining your waterproof garment and ensuring years of quality performance. It’s a common misconception that washing a waterproof garment will damage it. Concerns of putting your beloved waterproof jacket through the washing machine and dryer are understandable, but it is essential that you wash your waterproof jacket to maintain its performance. Often, waterproof jackets only start absorbing water because the dirt on them is covering the waterproof coating. Before washing, check the care label on your jacket, and make sure you prep it properly to ensure the wash is effective. 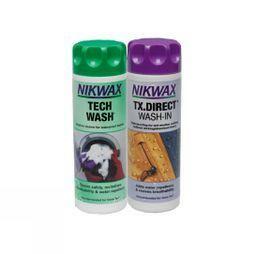 Use a sponge or soft nylon brush to apply Nikwax Tech Wash or a similar product to any stubborn stains. 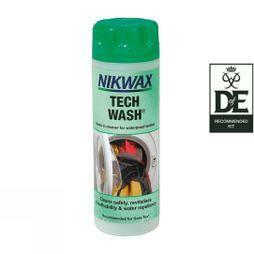 Using a wash-in product like Nikwax Tech Wash in the washing machine gives a more even coverage. It's important to use non-detergent cleaning agents, as they won't leave a hydrophilic (water attracting) residue on your garment. 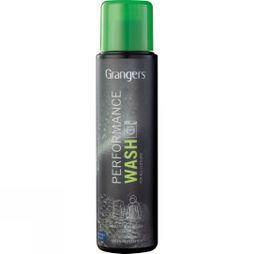 You may find that washing alone is not enough to revive the water repellence of your jacket. If this is the case, you need to re-proof your garment. It’s a simple process and essential to making your jacket last. How often you should re-proof your garment depends on how regularly you use it, but you will know that it’s time to reproof when your jacket still absorbs water after washing. Make sure you have the right treatment for your jacket. 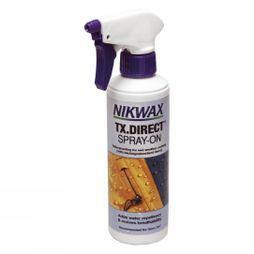 Use Nikwax TX Direct Spray On for softshells and Nikwax TX Direct Wash-In for hardshells. Always check your jacket's label first. Machine or hand wash your garment with the chosen agent. Heat will re-activate the durable water repellent treatment. Tumble dry the garment on a low or no heat setting. If tumble drying is not recommended for your jacket, drip dry or place on a radiator on a low heat setting. You can use an iron if you do not own a tumble dryer. Always check the care label.